Losing your first set of customers can crush your startup’s momentum and throw your mental psyche off track. Investing in customer loyalty can help you lower your company’s churn and increase profitability by up to 125%. No matter if you just found your 10th or 100th customer, your competition is focused on stealing them, regardless of whether you’re concerned with retaining them or not. The worst feeling is converting a customer and then watching them leave. How could it happen so soon? We just got started! Keeping those customers requires building a two-way relationship with them. In this post, we’ll explain how the concept of customer loyalty continues to evolve, look at some examples of companies that are doing it right (and wrong). Then we’ll discuss 3 strategies that build loyalty: customer service, inbound marketing and community building. On its face, customer loyalty is a simple idea: treat customers well and they’ll reward you with repeat business. But customers are not going to be loyal to you if you’re not loyal to them first. To fulfill your side of the deal, your company needs to be proactive and reach out to meet customers in new areas, on new platforms, with new content. If you won’t, others will. Business owners should expect that their current customers are being aggressively targeted by competitors at every turn. A customer gained is often a customer taken. When you create and implement retention strategies, what you are effectively doing is measuring your Customer’s Success – how quickly they adopt your product, use it and continue investing in it. Whether it’s a pair of running shoes or new software tool, it’s the same process from Awareness through Advocacy and Referral. Measuring how well your brand serves customers is also key to the philosophy of Customer Success, an idea that’s become so popular that podcasts have sprung up about it. Customer Loyalty and Customer Success are linked at their core by the belief that ignoring customers outside the traditional sales funnel is unacceptable. What Customer Loyalty Strategies allow you to do is create data around KPI’s that measure how invested customers are in your product. Think of your favorite thing you purchased in the last 12 months… How often do you open their emails? The answer is pretty often and that’s because something that brand did won you over and now you’re curious, what are they coming out with next? Measuring how far a user goes in your onboarding process, how often they engage with you on social media, open your emails, etc. all give you a pulse on how attached customers are to your brand. Companies with the strongest omnichannel customer engagement strategies retain an average of 89% of their customers, as compared to 33% for companies with weak omnichannel strategies. That could be the difference between customers lining up around the block for your product like it’s an Apple watch – or searching on your website for how to refund their order. You can use customer loyalty as the North Star around which you orient a constellation of data points. Click-throughs, reach, conversions can all be observed through the prism of whether they’re building loyalty. For example, businesses that adopt omnichannel strategies achieve 91% greater year-over-year customer retention rates compared to businesses that don’t. Looking at them in this way keeps long-term success top of mind. As a founder, your ambition is to serve your audience an experience so memorable that they want to return. As a marketer, it’s your job to fulfill that desire by creating avenues to welcome the customer back. One of the most-cited reasons that customers move to a competitor is because of poor service. In fact, U.S. companies lose billions of dollars every year to bad customer service. And after a negative experience, 58% of customers would never use the same company again. Another thing that’s clear: dissatisfied customers DO NOT keep their dissatisfaction to themselves. 50% of dissatisfied customers tell their personal networks not to use the business. How many times have you seen a friend post on Facebook that they’ll never give a company another cent? It happens all the time. Take Comcast for example. The company’s cable service is ranked yearly as one of the most reviled in America. In fact, the company’s customer satisfaction rating has dropped three years in a row and sits near the bottom of the cable industry. Meanwhile, Comcast lost 386,000 TV subscribers in the second and third quarters of 2018. Here’s proof of how bad it is: at one time there was a service that would break up with Comcast for you. For a long time, Comcast has gotten away with its reputation for terrible service. But the horror stories of bogus charges, refused cancellations, and infuriating call centers might be catching up with it as cord-cutters increasingly choose streaming services like Netflix. You can see why some companies like Trader Joe’s and JetBlue are compelled to emphasize customer service first and foremost: A lot is on the line. It may seem natural to devote the bulk of your resources to chasing new leads. But retaining existing customers should be an equal — if not higher — priority. No investor will only ask you about your Customer Acquisition Cost – the next question (or in the same breath) will be about your customers’ Lifetime Value. 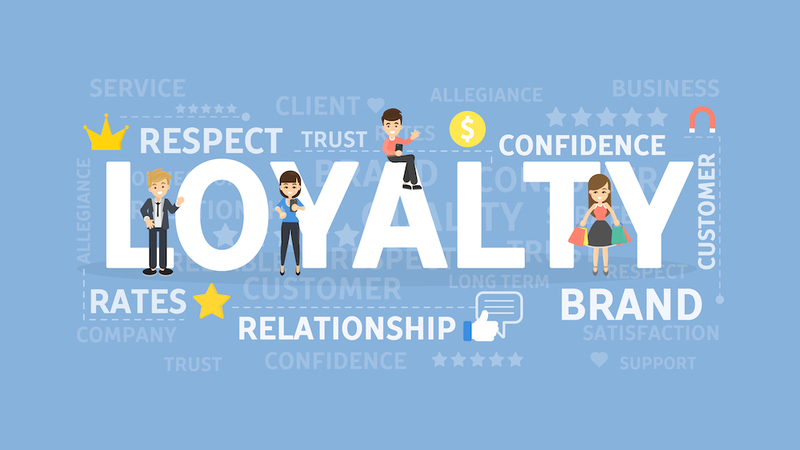 When you have customers who are deeply loyal, they amplify everything your brand does – and the absence of loyalty diminishes your efforts. For example, when a company like Netflix tweets something fun or interesting, the account’s fans interact and widely share the content. Conversely, when an account with a less loyal following pushes something out, it doesn’t go nearly as far. Note: a loyal following isn’t the same as a big following. 1 million followers is great, but if they’re bots or disengaged users, they’re not helping. Perhaps the most desirable benefit of building loyalty is seeing a jump in your customers’ lifetime value. This refers to the total revenue brought in by a single account and is a vital metric for any company. Because it’s expensive to acquire new customers, motivating existing ones to return again and again can be an efficient way to boost profits. When Doritos introduces a new crazy chip flavor, who do you think is the first group to try them? It’s pretty safe to assume it’s not people who have never tried any of their chips before. It’s the superfans who love the brand and get excited about its new products. Loyal customers give brands an audience to experiment with before rolling out a product to their wider audience. For example, regular guests at restaurants are 5 times more likely try a new menu item. The opinions of loyal customers constitute some of the best feedback businesses owners can receive. In order to hear feedback, you have to have an ear to the ground. If you’re not sure where to start, here are some tools to help. Ahrefs’ toolkit helps you monitor your online niche through notifications, content research and backlinks. Google Alerts keep you plugged into who’s searching for you on the web. Mention and Brand24 keep you on top of what people are saying about your brand across social media. ChipBot gives you a way to automatically collects your customers’ feedback directly from your website. Loyal customers aren’t just valuable for their repeat business. They also help attract new customers and those customers are looking for validation. They don’t buy products without comparison shopping, which lengthens the buying process. 94% of shoppers are doing online research before they buy and that research starts with searches. The problem is that getting to the top of those searches can take an expensive ad budget, time to build domain authority and inside relationships to make it on a “Best of” list. But if you can’t make it to the top of a search, positive reviews are the low-hanging fruit for validating your brand – and they carry big pull with customers, too. Over 70% of U.S. shoppers say they look at a product review before making a purchase. That translates to a 73% increase in conversions on low-cost products and a whopping 97% boost for high-cost ones. 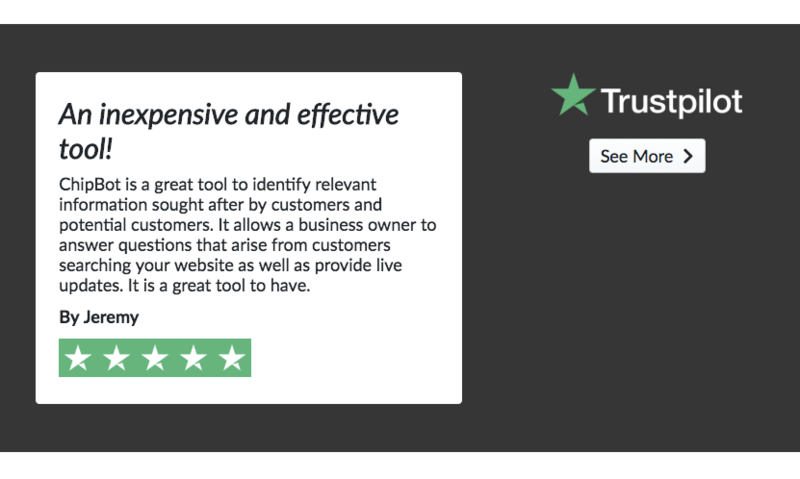 A popular strategy is to incentivize customers to provide social proof that validates your brand in online reviews. Who better to do that than loyal customers? This tactic turns your superfans into powerful advocates who can drive interest. But first, you have to give them the user feedback tools needed to talk about their experience. Start with your website by making sure you allow space for comments and have a customer support tool. Next, jumpstart your customers’ positive reviews by opening lines of communication with them and encouraging feedback. Speaking of snowball effects, word of mouth marketing is sometimes called the most valuable type of marketing because of who’s doing it: family, friends, and associates of potential customers. 82% of Americans seek advice from their personal networks before making a purchase. That’s great news for companies who have put in time building loyal customers. Furthermore, no one paid those consumers to share — but they were motivated. People genuinely like talking about products that make a difference in their lives, just like people love to recommend the latest band, restaurant or even meme! But we only do that with the truly special brands that we know our network will care about, too, and we won’t be embarrassed gushing about on our social media accounts No one raves to their friends about how they have to try some okay ice cream. That level of fandom is reserved for the truly memorable flavors of joints like Ben & Jerry’s. Customer loyalty isn’t something that happens overnight. It takes time to build a relationship and trust. Develop a strategy and stick with it. Here are 3 strategies to try. The fallout from poor customer service may seem terrifying — and it is. But here’s the good news: great customer service is powerful, too. Nearly 70% of customers who receive good service say they would recommend the company to others and 50% said they would use the business more frequently. The message is clear: do right by your customers and they will reward you. What’s the result? An astounding 75% of Zappos’ sales come from return customers. 40% of their new customers say they heard of Zappos from a friend or family member. Whether it’s staying on the phone for 10 hours, sending flowers or ordering pizza, Zappos does whatever it takes to impress. Creating loyal customers starts by proving your own loyalty to them. Outstanding service creates loyal customers by showing that they’re valued. Start by delighting, entertaining and informing. If you’re not already doing this, reconsider immediately. Inbound marketing in the form of blogs, newsletters and videos are powerful tools to keep your brand top of mind while helping customers get value from your product. Buffer provides a great example. Their blog educates customers about trends, tips and best practices for social media and online marketing. These posts build loyalty by taking advantage of one of the most important strategies for retaining customers: engagement. That’s because engaged customers buy up to 90% more often than customers who are not adequately engaged. 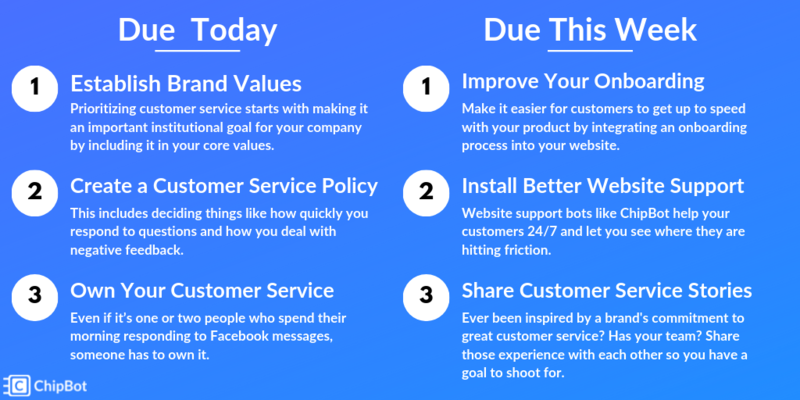 By generating content that helps solves customers’ problems, Buffer also validates its brand in the eyes of the customer and establishes itself as an industry expert. 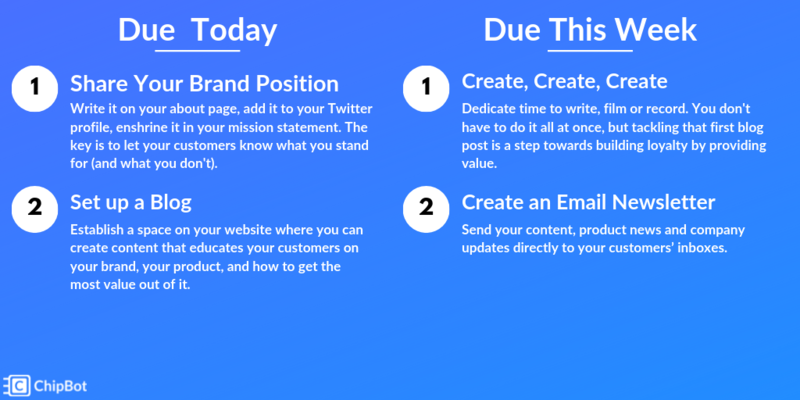 Setting up a brand blog is a simple first step for organizing content. Fandom is inherently about connecting with people who have similar interests. Think about sports. Fans watch games together, talk about players, chat on dedicated forums and post on social media. Those sports fans are really just customers loyal to a brand, whether it’s the Bears, Yankees or Lakers. Join. Familiarize yourself a community’s rules, observe its interests, and learn its customs. Engage. Contribute to the conversation and create posts that answer users questions, then post your own. Direct. 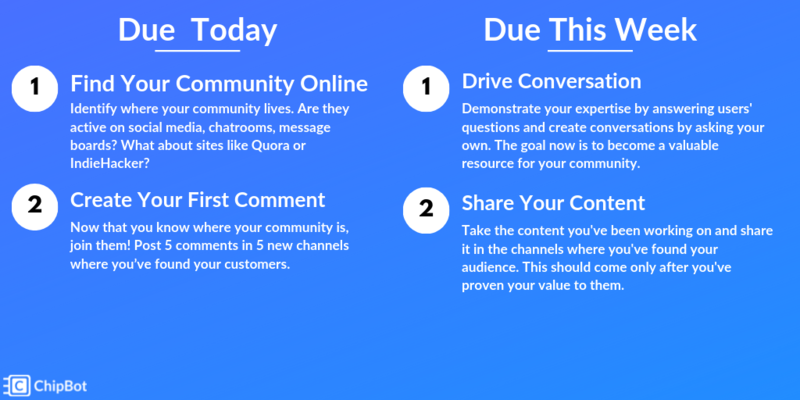 Take control of conversations, post expert content and help the community grow. Create. Begin building your own community and invite members to join you there. An active social media presence is the first place to start building a community of superfans. But using Facebook, Twitter and Instagram aren’t just about racking up vanity scores. It also gives your brand a way to promote the content you create as part of your communication strategy. Great inbound marketing makes for attractive and shareable posts that can help build loyal customers through engagement. For example, Jay Baer’s research found that answering a complaint on social media can increase customer advocacy by as much 25%. On the flipside, in Sprout Social’s research, they discovered that 30% of customers who are shunned by brands on social media are more likely to switch to a competitor. Here’s a question you should try to answer as you gain a better understanding of your customer community: what do they have in common besides your product? That question has led some companies to find unexpected ways to generate loyalty – like by giving to charities and even by encouraging consumers to NOT buy their products. A strong community turns customers into fans, organizes them around your product and satisfies their desire to interact with peers. Social media channels offer an easy entry point for building a community of loyal customers. Consider what other common interests your customers have and meet them on their home turf. The absence of customer loyalty means you’re more open to the pain of churn. 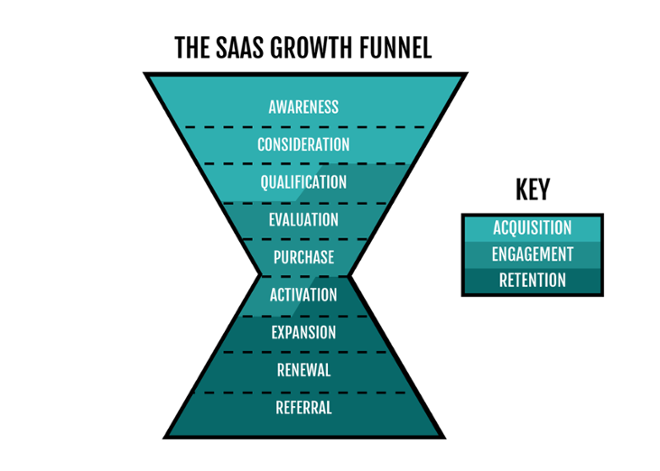 Building toward long-term success starts with hammering out retention strategies that help customers get value from your product, engage them with interesting content and surround them in a community. How does your company manage customer loyalty? Have you found a great retention strategy you want to share? Leave a comment below and let me know what you think.